OffersBoard gives you an easy access to a hassle-free method to remotely track your campaign performance in contrast to all your KPIs across all your marketing platforms. 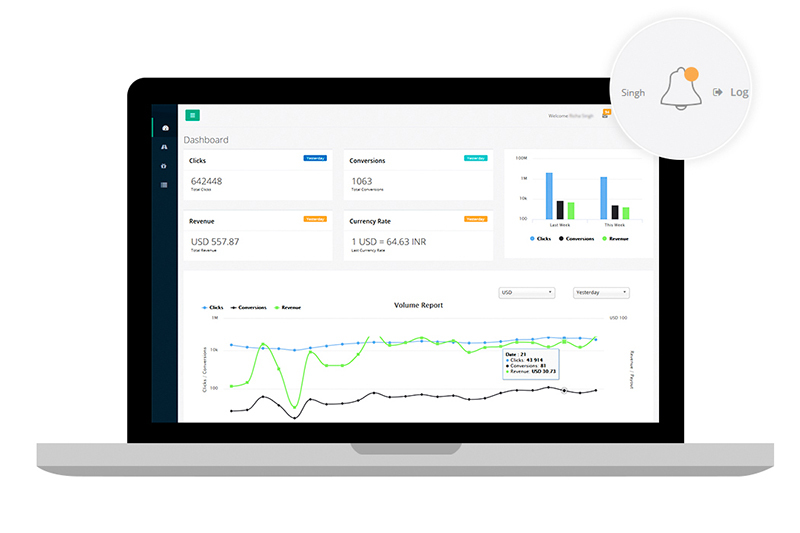 Offers Board is designed to provide unmatched affiliate program management options through one dashboard to monitor mobile ad performance metrics. Offersboard enables their partners to see the list of campaigns with the required KPIs, payout, geo, creatives etc. on their dashboard and apply for the approval of the campaigns through their panel itself. Once the campaigns get approved by the key Account Manager. Partners get notified by an email notification for the approved campaign. We make sure that we send a real-time notification mail to every publisher for each and every detail and/or changes with regards to the campaign, price, KPIs. This reduces the delay of information between the partners. 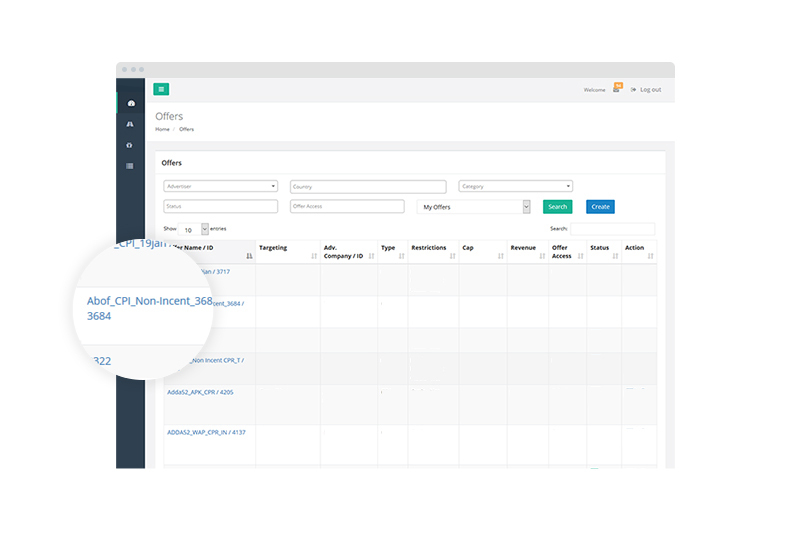 On Offersboard, publishers get to see the pay-out of the campaigns and they can also check the business history of their account for the all the previous campaigns and time duration. Any changes in the pay-outs get informed on real time through email notification. 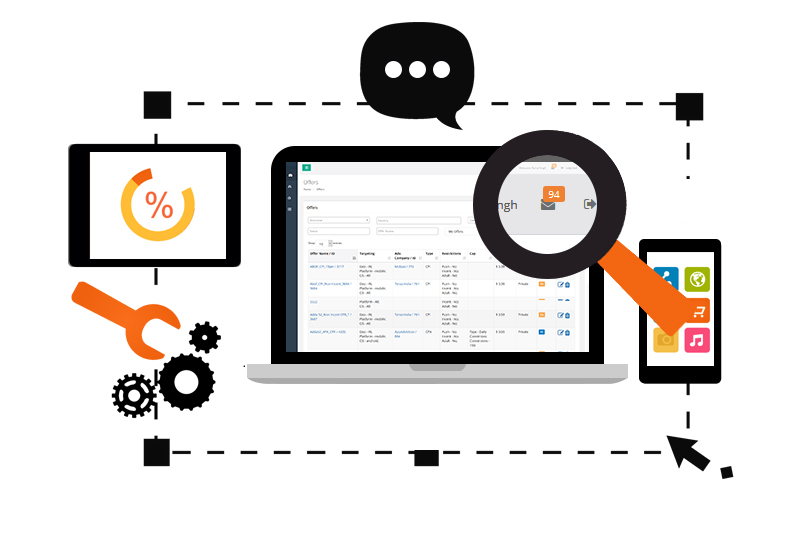 Offers Board has all the essential features of a tracking platform and creating customized reports out of the available data of ad campaigns. 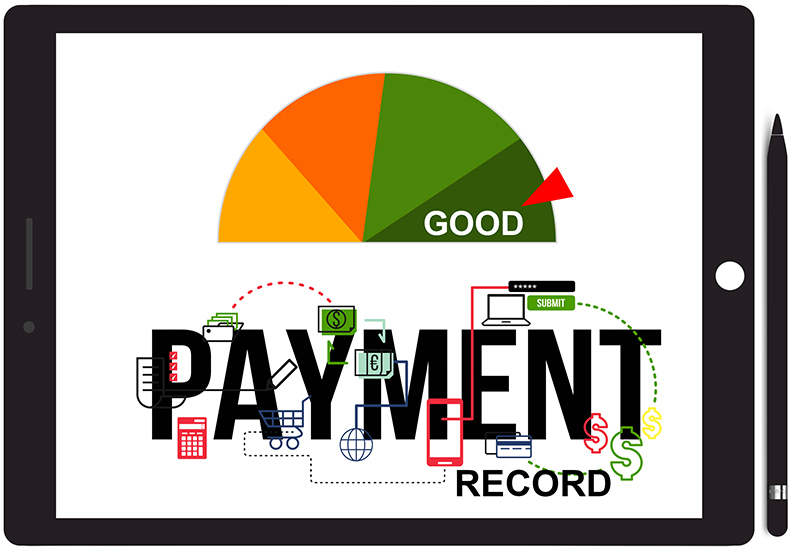 The reports are highly reliable and can be used for multiple purposes. The easy-to-use interface in Offersboard makes real-time reporting a simple activity, helping affiliates to analyse their finance growth. Being in the industry none of us is unaware of the frauds that happens every day in the industry. 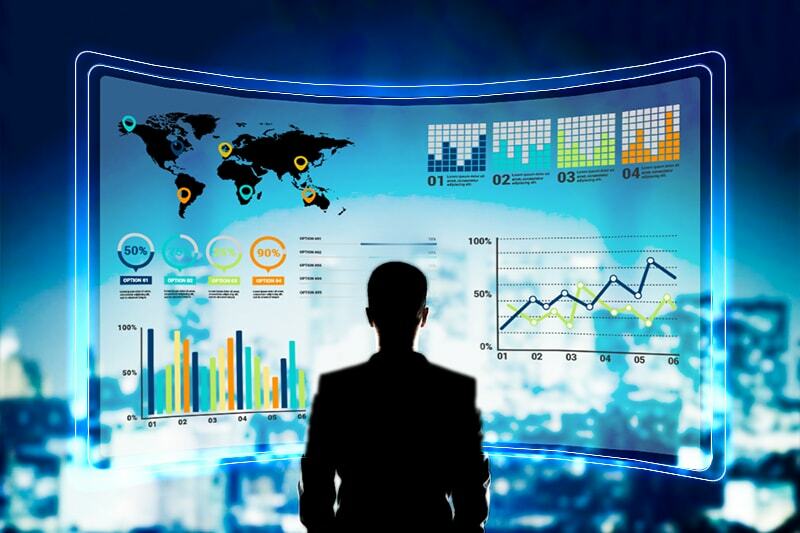 According to the IAB, Ad fraud costs the industry is $8.2 billion a year in the U.S. alone and now think about the numbers if we talk globally. As advertising finances keep rushing towards digital, fraudsters have also become aggressively active to fake the system and earn money. This is leaving a bad impact on the authenticity of the digital advertising community. 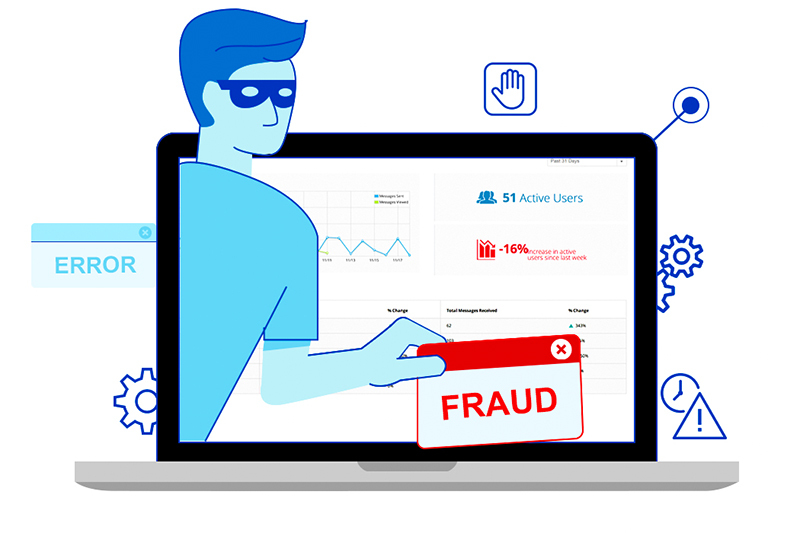 Our Offers Board software is here to protect you from fraud. It has been developed to makes sure that ads are served by you are actual publishers and presented to actual people and the right target audiences — all to maximize ROI for both buyers and sellers. Not to forget that our platform also alert partners about security risks on real time basis. 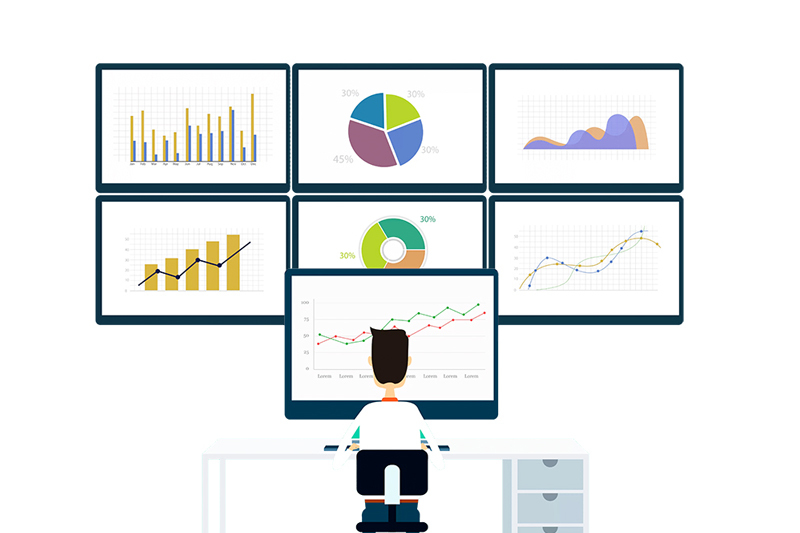 Offers Board is one of the most transparent performance monitoring software which provides its users the feature of guaranteed real time tracking where they can keep an eye on live clicks, conversions etc. along with resting assure on our highly effective fraud detection mechanism.